We hosted an amazingly cool and diverse lineup of artists with live shows and signings/meet and greets this year! Here are a handful of events that were especially memorable. The interstellar Yetis of The One and Only PPL MVR rocked the entire store with their animalistic, theatrical heavy glam rock. 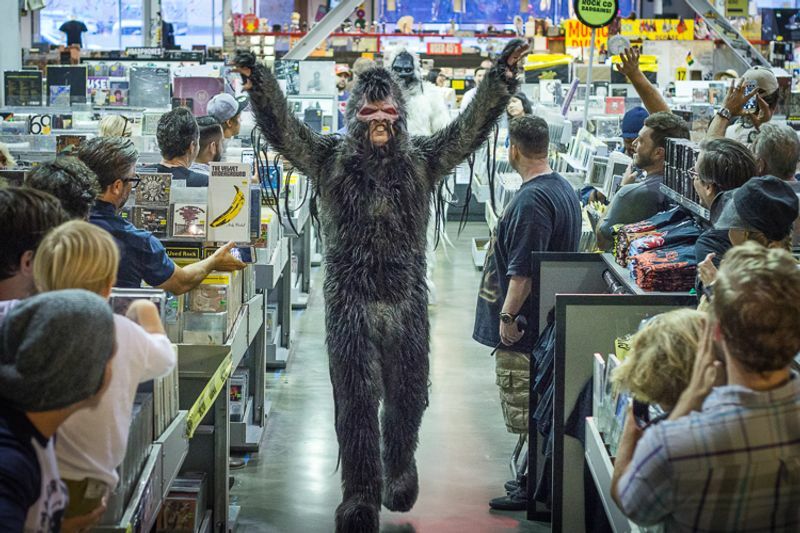 Even those who didn’t know what the hell was going on got a thrill as the band’s bigfoot and sasquatch descended the stairs and walked through the aisles of Amoeba. See their performance of “Mad” below. 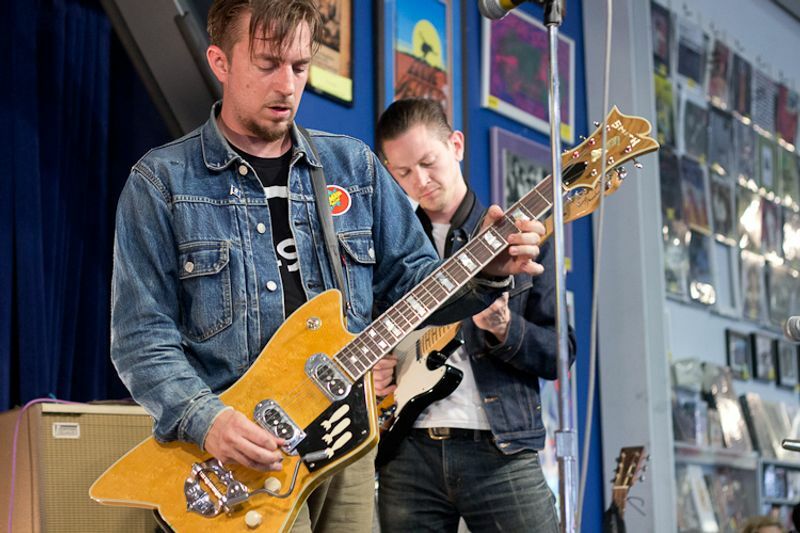 A huge crowd came out to see rock ‘n’ roll revivalist JD McPherson show us how it’s done — he and his super-tight band played a hard-driving set in June in support of his latest album, Let the Good Times Roll. Watch his episode of “What’s In My Bag?” below. Season 8 has been a pretty big year for our little "What's In My Bag?" series. We kicked off this season with Patrick Carney of The Black Keys and yesterday we posted a new episode with GRAMMY royalty, legendary vocalist Johnny Mathis. In between we spoke to a Mexican superstar, a punk poet, an organ virtuoso, Juggalo godfathers, and many, many more artists. Here is our list of the Top 10 episodes from 2015, but since we couldn't leave it at just 10 check out the honorable mentions as well. Enjoy and thanks for watching!! Sometimes you must ask, “What would the man who brings to life some of our most heinous villains listen to when he’s not being creepy as hell?” Actor Michael Shannon (Boardwalk Empire, Take Shelter, Revolutionary Road) proved to be intriguingly deadpan as he opened up his bag, revealing an enduring connection to Chicago and a deep knowledge of music. Swedish heavy metal band Ghost are known for their theatrical appearance onstage and their anonymity offstage. Fronted by Papa Emeritus, an "anti-Pope" figure in skull makeup and cardinal robes, and backed by masked members who call themselves Nameless Ghouls, the band formed in 2006. Their debut full-length came in 2010 with the release of Opus Eponymous. The followup came in 2013 with Infestissumam, which generated controversy when it was recorded in Nashville, TN, due to the album's satanic lyrical content. Ghost's third album, Meliora, was released in August 2015 and debuted at #8 on the Billboard 200 chart. You can watch Ghost make their U.S. television debut this Friday, October 30 with a live performance on The Late Show with Stephen Colbert. In support of Meliora, Ghost recently performed a special acoustic set at Amoeba Hollywood. Over 700 fans showed up for the free show and a lucky 300 were also able to meet the band and get the new record signed. Check out the video below featuring some of the amazing, loyal fans who turned up early for the in-store performance. A Nameless Ghoul from Ghost took some time to talk with our What's in My Bag? crew about some of his favorite albums by KISS and Candlemass, and give us some insight into the black metal concepts in Ghost.